Do you want to be rewarded? Then listen up! This message is for you! During this day and age everyone is making healthier choices. Whether it’s eating more fruits & veggies. Being more active. Or drinking more water. Whatever it is we are all contributing to a better well being. So why not be rewarded for all of your hard efforts. That’s where this challenge comes into play. Slimkicker.com and myself have teamed up together to provide you an opportunity to challenge yourself to the next level in healthy living. First let me give you a little background about slimkicker.com. They are a diet tracker/game program that turns your everyday diet and fitness goals into points, rewards and challenges. They solve this by taking habits like quitting soda or giving up sweets, and turning them into 7-30 day challenges. Like a regular game, the challenges start out easy, and gradually become harder, where more points are rewarded for your hard work. So to enter the contest all you have to do is LEAVE A COMMENT BELOW on a FUN & CREATIVE fitness or diet challenge you are willing to do for 7 days. Please limit suggestions to 1-2 sentences. Contest is for ONE WEEK ONLY. At the end of the contest we will pick our favorite and announce the winner who will win this cool prize. 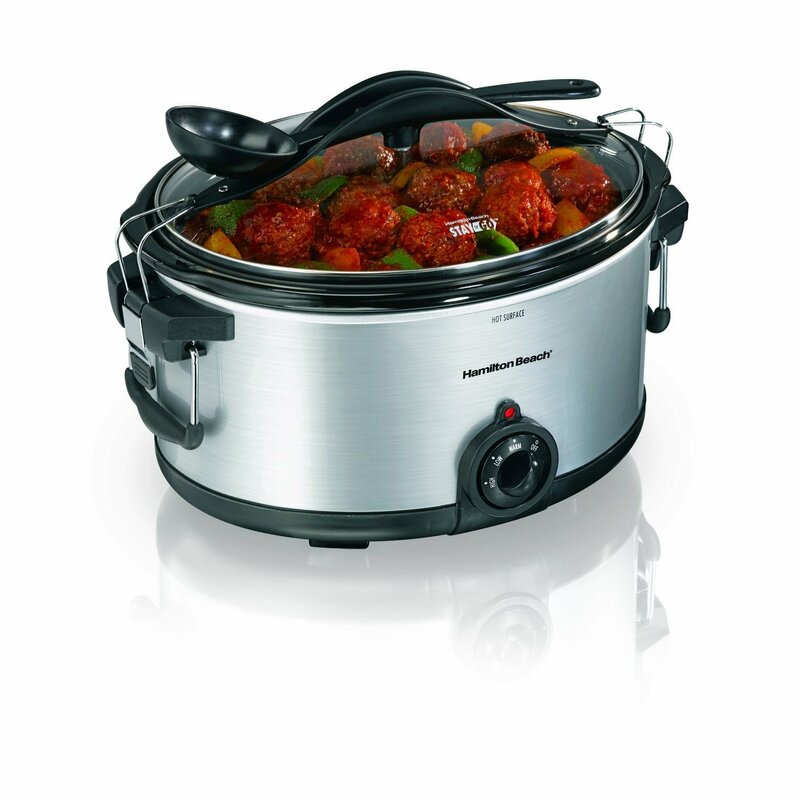 A Hamilton Beach Slow Cooker and Steamer. So, are you up for the challenge. I AM! Posted on July 11, 2012, in Healthy Fab and tagged contest, creative fitness, diet, diet challenge, fitness, giveaway, health, healthy-living, slimkicker.com. Bookmark the permalink. 10 Comments. Being Over Ambitious. Sweetie and I are giving up all sweets until our birthdays next month (Aug 18th & Aug 26). I’m a die heart soft drink lover. Recently, I have been drinking eight or more glasses of water to remain hydrated. This Is Soooo Hard …. I`m Going To Replace My Soda with Water && My Candy Munchout with Fruits . HUGE coffee lover here. So no morning cup of joe! You are ALWAYS so supportive. Love You Much! My challenge idea: a monthly squat challenge where u do 1 squat on day 1, 2 squats day 2.. all the way to 30 squats in day 30. I so love this idea. Think I am going to try this in my regimen too. Thanks! Great giveaway! My challenge idea is to do 5 pushups for every hour I am sitting during the day. Of course, during work I am forced to sit, but when I’m at home, I don’t have to, so if I have to do pushups it will make me think twice before sitting in the couch. Congrats Girlie Valencia … You have been chosen as the winner of the Slimkicker Challenge … Please inbox me at isunshineporter@yahoo.com to get the details on how to claim your prize. Thanks!